Not far from Kazakhstan's gleaming new capital, Astana, is a memorial for the women who suffered in Alzhir - the Soviet Union's largest women's camp. It operated from 1937 - 1953. Kazakhstan's vast steppe and harsh climate made it an ideal location for the establishment of labour camps. 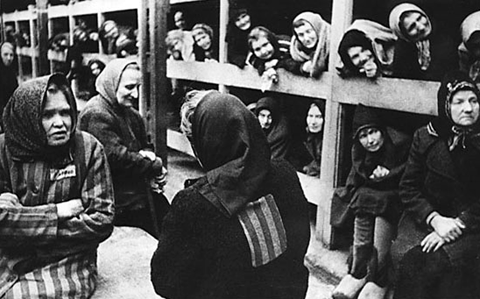 Hundreds of thousands of people were sent to Kazakh gulags. Alzhir was established for the female relatives of "traitors to the Motherland" - mothers, wives, sisters, daughters. Children under the age of three accompanied their mothers there. Then they were sent to orphanages. Crime by association. The women were forced to build their own barracks from mud bricks. Each barrack held 200 - 300 women. Following Stalin's death in 1953, the camp was closed. In 2007 a museum and memorial complex was built on the site - it is a deeply moving experience to visit Alzhir. To enter the complex one passes the 18-metre high Arch of Grief. 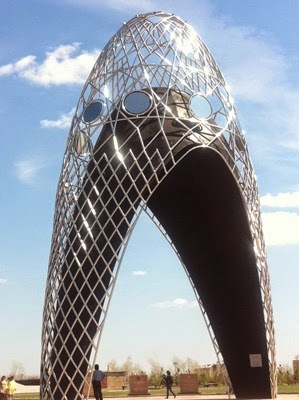 A silver and black monument, which symbolises a traditional Kazakh headdress for women. The museum tour starts with an eloquent video presentation in which former prisoners and their children recount their experiences at Alzhir. It is harrowing to listen to the stories of extreme hardship. The permanent exhibition displays the daily life of the prisoners and some of their personal effects - handbags, gloves etc - as though the owners thought they were going on an outing when they were rounded up. Particularly moving are letters sent from their children. The Kazakh government should be commended for this museum and its ongoing activities to acknowledge the terror that took place on Kazakh soil. 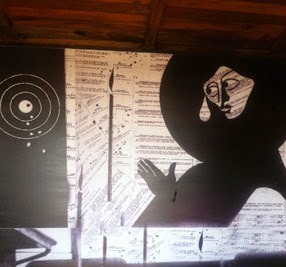 May 31 is now a national day of remembrance of the victims of political repression. Alzhir is about an hour's drive from Astana and is open daily, except Mondays, from 10:00 - 18:00. Plan to spend a half-day there. Excellent English speaking guides are available for a group of minimum five persons. Fee: around US$2. Brace yourself - this is a disturbing museum. Joanna Lillis and David Trilling have put together an excellent photo essay The Forgotten Women of the Gulag, describing the camp and its exhibits.